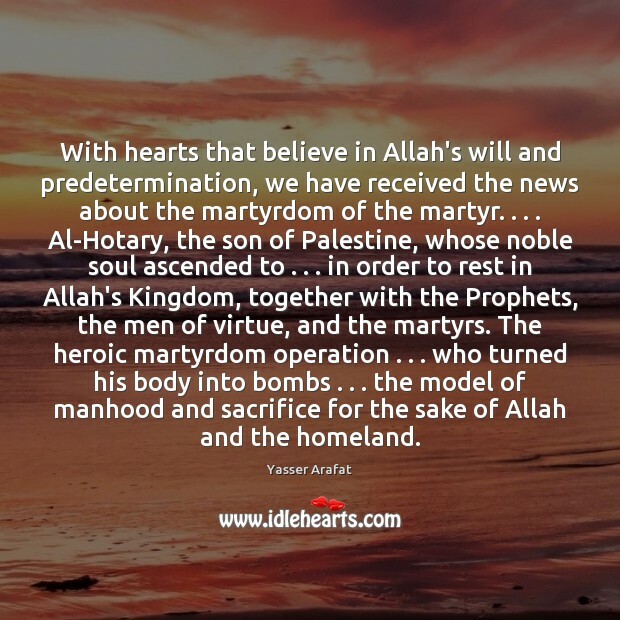 Quotations about Believe In Allah. Quotes to stimulate mind and drive action! Use the words and quote images to feed your brain inspiring things daily! 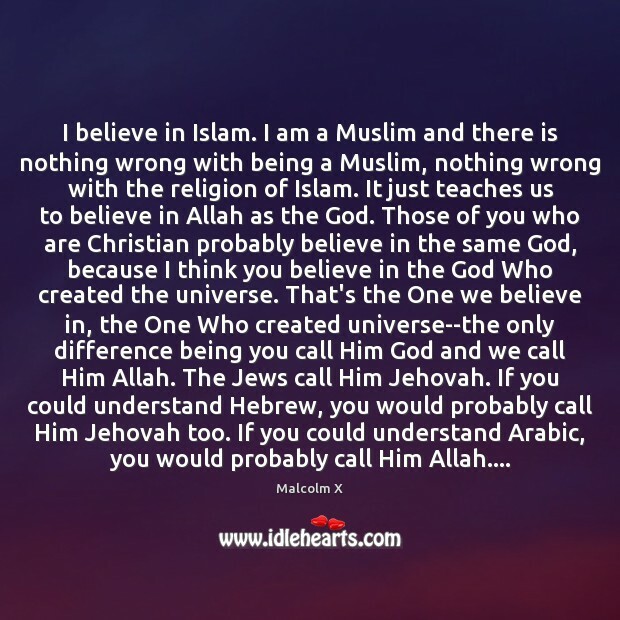 Christians and Jews don't believe in Allah or Brahma. 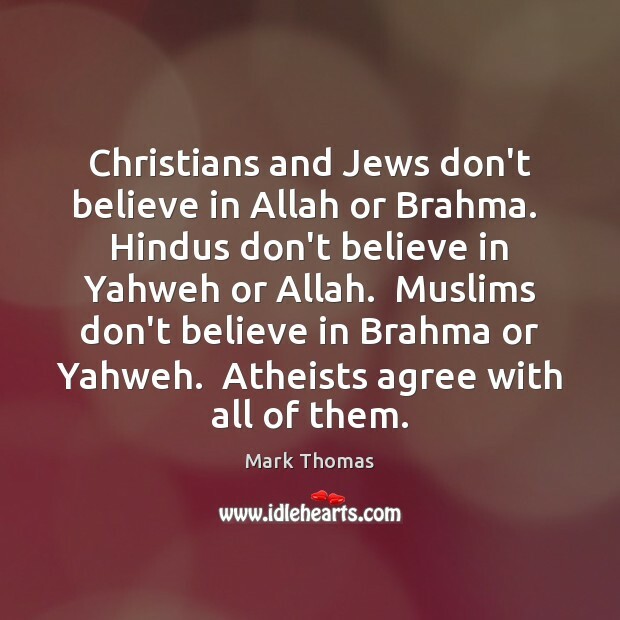 Hindus don't believe in Yahweh or Allah. 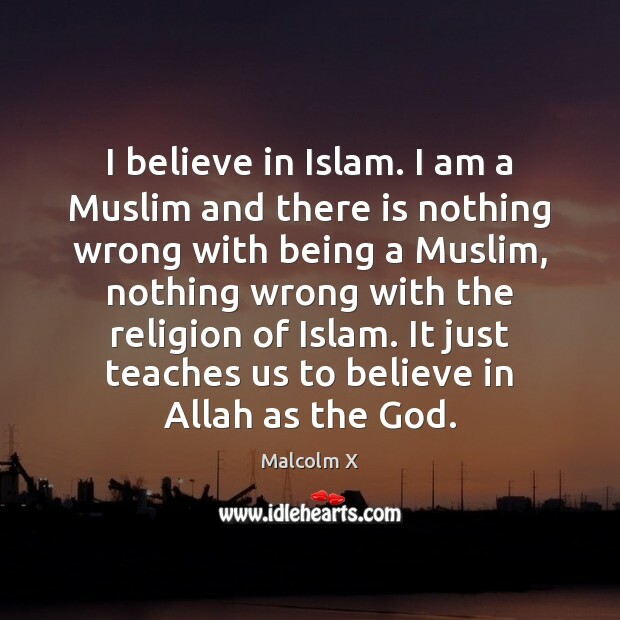 Muslims don't believe in Brahma or Yahweh. Atheists agree with all of them. 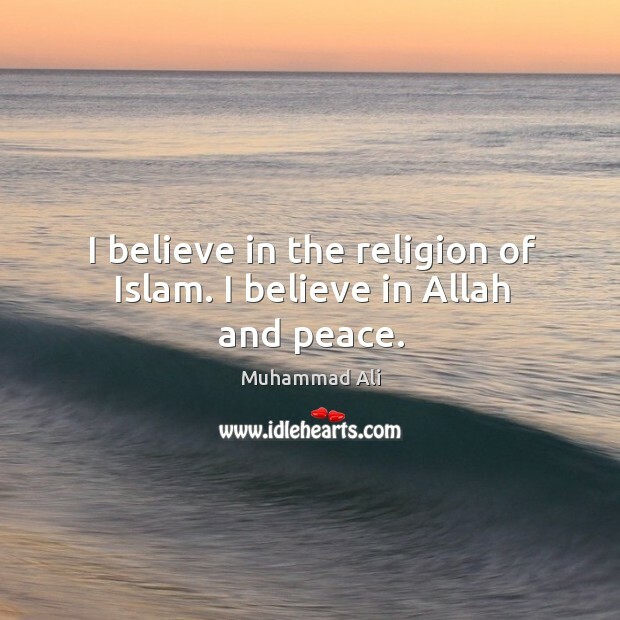 I believe in Allah and in peace. I don't try to move into white neighborhoods. I don't want to marry a white woman. I was baptized when I was twelve, but I didn't know what I was doing. I'm not a Christian anymore. 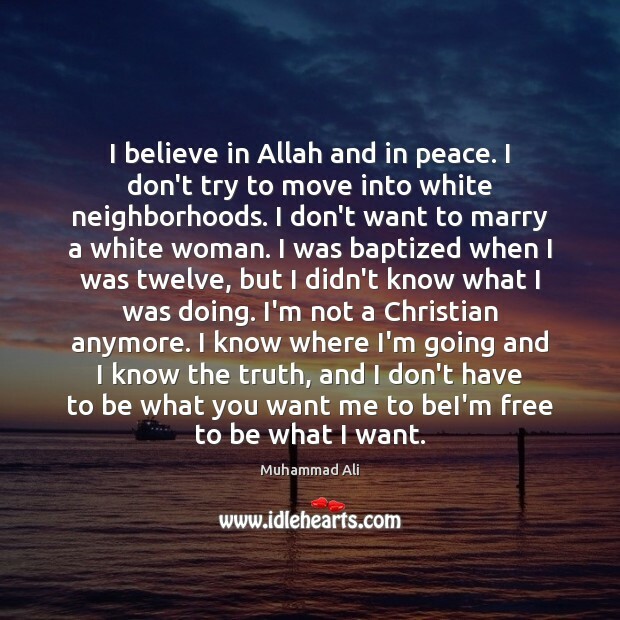 I know where I'm going and I know the truth, and I don't have to be what you want me to beI'm free to be what I want. O my son! 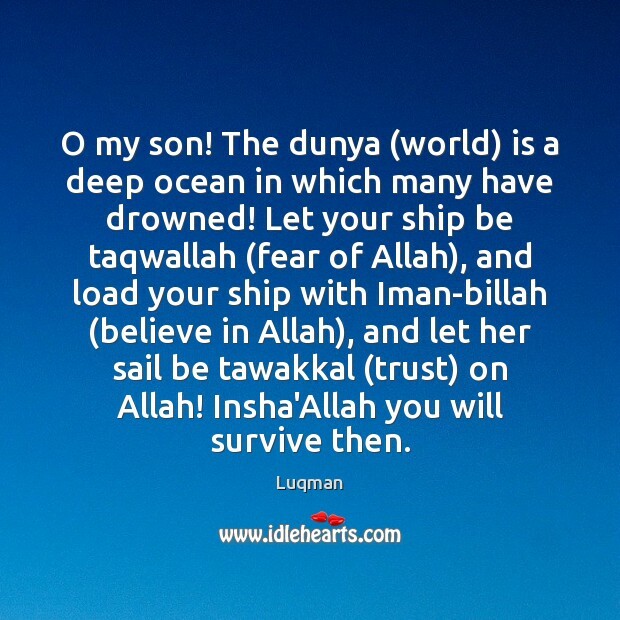 The dunya (world) is a deep ocean in which many have drowned! 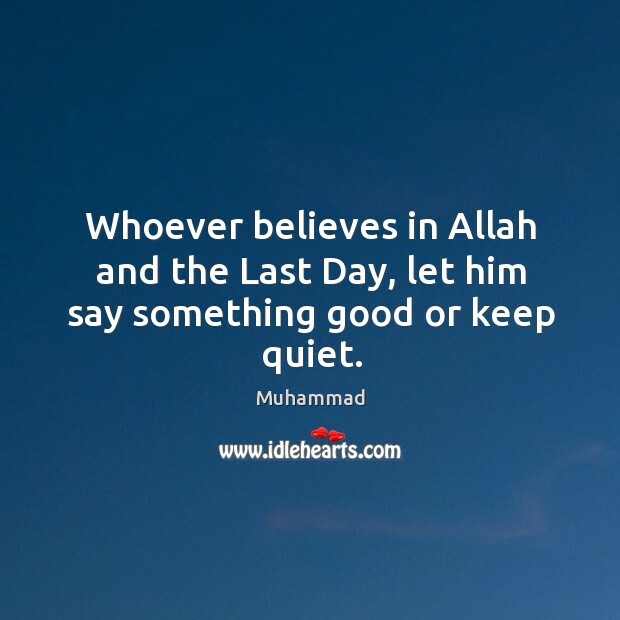 Let your ship be taqwallah (fear of Allah), and load your ship with Iman-billah (believe in Allah), and let her sail be tawakkal (trust) on Allah! Insha'Allah you will survive then. 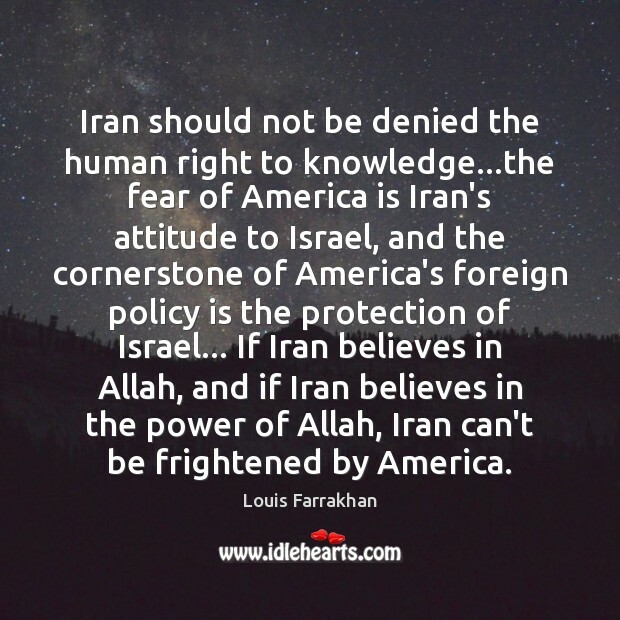 Iran should not be denied the human right to knowledge...the fear of America is Iran's attitude to Israel, and the cornerstone of America's foreign policy is the protection of Israel... If Iran believes in Allah, and if Iran believes in the power of Allah, Iran can't be frightened by America. 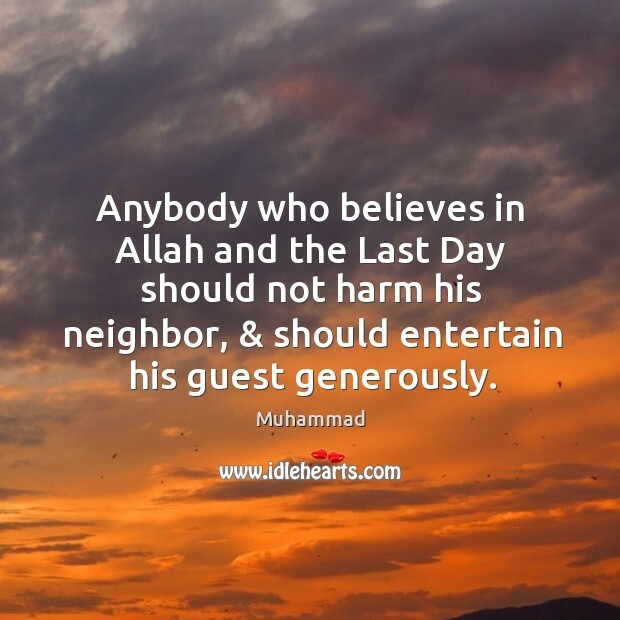 Anybody who believes in Allah and the Last Day should not harm his neighbor, & should entertain his guest generously.